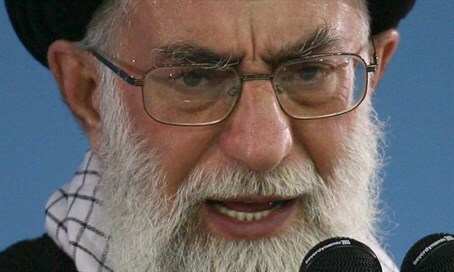 Iran's Supreme Leader bans any further negotiations with the United States, explains the Americans harm Iran's national interests. Iran's Supreme Leader, Ayatollah Ali Khamenei, on Wednesday banned any further negotiations between Iran and the United States, Reuters reported. Khamenei, the highest authority in the Islamic Republic, already said last month there would be no more talks with the United States after the nuclear deal, but until now has not declared an outright ban. His statements directly contradict those of Iranian President Hassan Rouhani, who many in the West consider to be “moderate”, and who says his government is ready to hold talks with the United States on how to resolve the conflict in Syria, where the two countries back opposing sides. "Negotiations with the United States open gates to their economic, cultural, political and security influence. Even during the nuclear negotiations they tried to harm our national interests.," Khamenei was quoted by Reuters as saying on his website. "Our negotiators were vigilant but the Americans took advantage of a few chances," he added. "Through negotiations Americans seek to influence Iran ... but there are naive people in Iran who don't understand this," Khamenei was quoted as saying to the IRGC commanders, who are also running much of Iran's military involvement in Syria. "We are in a critical situation now as the enemies are trying to change the mentality of our officials and our people on the revolution and our national interests," Khamenei was quoted as having told the Guards. Despite the agreement with the West, Khamenei has continued to verbally attack the United States, calling America the "Great Satan" and proclaiming "Death to America."